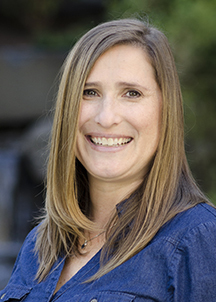 Dr. Shelly Fritz is a College of Nursing assistant professor in Vancouver, Washington. 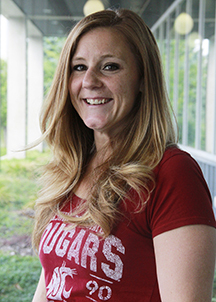 Her nursing background is in public health, emergency nursing, administration, and nursing education. Dr. Fritz’s research focuses on the application of technology in the delivery of healthcare and human-computer interactions. A major line of research inquiry is the use of smart homes with artificial intelligence capabilities to help older adults age in place. Her research is performed in the space between nursing and engineering and under the umbrella of a newly emerging field, gerontechnology. Dr. Fritz is primarily a qualitative researcher but she uses multiple methods of research design. She teaches in the RN-BSN, MN, and DNP programs and mentors MN and PhD students. WIN 2017 Best Gerontology Research Presentation. (April 2017). Awarded by Western Institute of Nursing Gerontological Special Interest Group (WINGSIG) for Auto-prompting for task completion in persons with dementia. Who’s Who in American Colleges and Universities. (June 1992), Walla Walla University School of Nursing. “Discovering the influence of culture on health-assistive smart home adoption by Asian immigrant older adults for infusion in artificial intelligence: Community-engaged research.” Connie Nguyen-Truong, PhD (PI) and Roschelle Fritz, PhD (PI). $4,000 (internal direct), Washington State University Vancouver Mini-grant, 2018-2019, dissemination phase. “Influence of Culture on Adoption of Smart Home Monitoring for Health Assistance by Asian American Adults and Older Adults. Connie Nguyen-Truong, PhD (PI) and Roschelle Fritz, PhD (PI). STTI Beta Psi Chapter Award. $2,000 (external direct), Nursing Research Grant, 2017-2018, planning phase. “A Clinician-in-the-loop Smart Home Technology to Support Heath Monitoring and Intervention for Chronic Conditions.” Diane Cook, PhD (PI), Maureen Schmitter-Edgecombe, PhD (PI), Roschelle Fritz, PhD (PI). NIH/NINR. Award No. R01NR016732. Nursing Research Grant, 2017-2022, data collection phase. “Development of an Online Course Suite in Tools for Analysis of Sensor-Based Behavioral Health Data (AHA! ).” Diane Cook, PhD; Roschelle Fritz, PhD, Anantharaman Kalyanaraman, PhD, Maureen Schmitter-Edgecombe, PhD, Gina Sprint, PhD. NIH. Award No. R25EB024327. Training Grant, 2017-2020, development phase. “RFP Vancouver Campus Infrastructure.” Xuechen Zhang, PhD; Alexander Dimitrov, PhD, Roschelle Fritz, PhD, Kevan Moffett, PhD, Leslie New, PhD, Nikolay Strigul, PhD, Scott Wallace, PhD, Xinghui Zhao. Washington State University Vancouver Internal. Infrastructure Grant, 2017- 2021, equipment installation phase. WSU Vancouver Mini-grant. Roschelle Fritz. Smart home technology to support healthy aging: Adding a clinician in-the-loop. May 2016 – May 2017. Maryville Nursing Home, Sisters of St. Mary, and Touchmark Foundation. Sensor detected motion patterns in advance dementia. January –December 2017. Washington State University Vancouver External Mentoring Program. Mentor: Diane Cook, PhD College of Computer Science and Engineering, Pullman. Washington State University Vancouver Office of Research. November 1, 2015 to June 30, 2016. For fostering career development and emerging smart home research. Touchmark Foundation, Clinician-in-the-Loop of the Health-Assistance Smart Home’s Machine Reasoning. Roschelle Fritz, PhD, Diane Cook, PhD, Maureen Schmitter-Edgecombe, PhD, Aaron Crandall, PhD. January 1, 2016 to December 30, 2019. Health-assistive smart homes using continuous ambient sensor monitoring with machine learning techniques are deployed into the homes of community-dwelling older adults to identify and/or predict changes in health status. Adding a clinician-in-the-loop allows machine learning techniques to be trained to nurse clinical reasoning standards so the smart home can assist with self-management of chronic health conditions. Fritz, R.L. & Wilson, M. (2017). Evidence Based Practice. In Phelps, S., Kane, K., & Planchon, J. Where Evidence Based Nursing and Information Literacy Meet: The Crosswalk. Elsevier: Chandos Publishing. Fritz, R.L., Cook, D. (July 2017). Identifying varying health states in smart home sensor data: An expert-guided approach. World Multi-Conference of Systemics, Cybernetics and Informatics: WMSCI 2017. Conference paper. Indexed. Fritz, R., Corbett, C., Vandermause, V., & Cook, D. ( September 2016). Influence of culture on older adults’ adoption of smart home monitoring. ePoster Presentation (7 slide Power Point). 10th World Conference of Gerontechnology, ISG 2016. Nice, France. Fritz, R., & Vandermause, R. (April 2015) Data collection via in-depth email interviews. Podium presentation. Western Institute of Nursing Research Conference. Albuquerque, NM. Fritz, R., Vandermause, R., Corbett, C., & Cook, D. (April 2015). The influence of culture on older adults’ adoption of smart home monitoring. Poster presentation. Western Institute of Nursing Research Conference. Albuquerque, NM. Fritz, R., Vandermause, R., & Altman, M. (March 2014). Cultural influences on older adults’ adoption of Smart Home monitoring. Washington State University Academic Showcase. Poster Presentation. Pullman, Washington. Fritz, R., Doty, K., Ngizambote, M., Schmitter-Edgecombe, M., & Cook, D. (October 2013). Detecting Cognitive Decline Using Smart Home Technology. Washington State Public Health Association. Poster Presentation. Wenatchee, Washington. Fritz, R., Vandermause, R., Altman, M. (April 2013). Cultural Influences on Older Adults’ Adoption of Smart Home Monitoring. Western Institute of Nursing Research Conference. Poster Presentation. Seattle, Washington. Vandermause, R., Barbosa-Leiker, C., & Fritz, R. (June 2013). Infusing phenomenological influences in research-focused doctoral programs. The Institute for Hermeneutic Phenomenology Conference: Contemporary Interpretive Scholarship Sessions. Indiana University School of Nursing Center for Research in Nursing Education. Indianapolis, Indiana. Fritz, R., Doty, K., Ngizambote, M., Schmitter-Edgecombe, M., & Cook, D. (June 2013). Detecting Cognitive Decline Using Smart Home Technology. Northwest Biomechanics Symposium. Poster Presentation. Moscow, Idaho. Fritz, R., Doty, K., Ngizambote, M., Schmitter-Edgecombe, M., & Cook, D. (April 2013). Detecting Cognitive Decline Using Smart Home Technology. Western Institute of Nursing Research Conference. Poster Presentation. Anaheim, California. Vandermause, R., Barbosa-Leiker, C., & Fritz, R. (January 2013). New doctoral education: Combining multiple analytic perspectives in teaching and learning research. American Association Colleges of Nursing Doctoral Education Conference. San Diego, California.